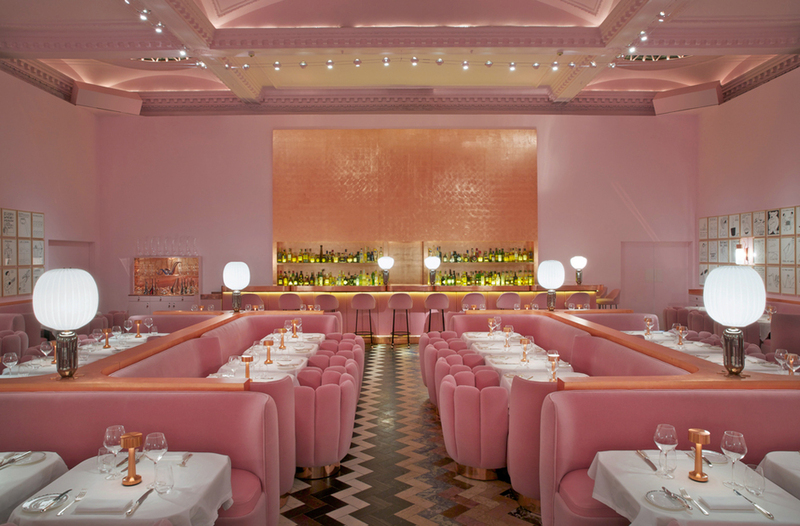 There's one traditional afternoon tea menu at Sketch but it's served in two very different locations: Glade, a fairytale dining room that features ethereal woodland murals and earthy wicker furnishings, and the Gallery, designed by India Mahdavi. Originally featuring work by Martin Creed, the Gallery now displays work by David Shrigley as part of a long-term programme of artists-conceived restaurants. The afternoon tea menu is the same for both experiences with towering assortments of sketch sweet pastries, dainty macaroons and delicious savouries offering true afternoon tea innovation. Diners can also choose to add either a glass of champagne, rose champagne or sparkling grape juice. Sketch - Afternoon Tea gyms, sporting activities, health & beauty and fitness. The best pubs near London Sketch - Afternoon Tea. Sketch - Afternoon Tea clubs, bars, cabaret nights, casinos and interesting nightlife. Where to have your meeting, conference, exhibition, private dining or training course near Sketch - Afternoon Tea. From cheap budget hotels to luxury 5 star suites see our discounts for Sketch - Afternoon Tea hotels, including Radisson Blu Edwardian Berkshire Hotel from 88% off.